As Lady mentioned in her previous blog post, our trip to Greece was mainly for rest and relaxation in the Greek islands. An extreme adventure was not in the plan. 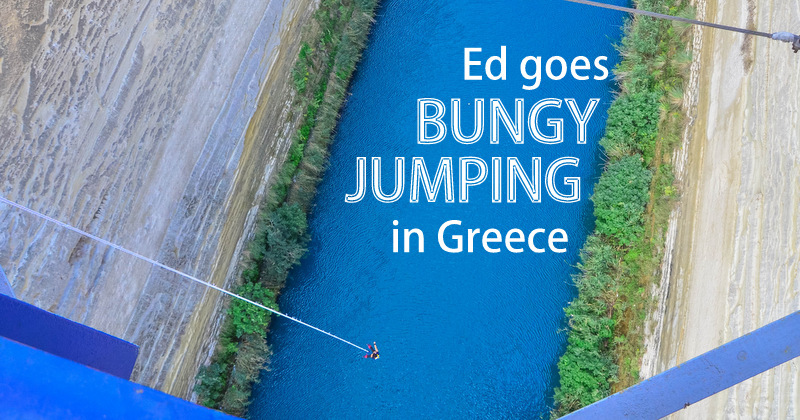 Not until I saw a challenge in Amazing Race wherein the participants must bungy jump in Corinth Canal! My adrenaline-seeking soul was stoked! It's been six years since I went bungy jumping in Macau. I long to do it again and I'm lucky to get my wife's full support on this. So, a couple of weeks before our trip, we contacted Zulu Bungy; the organizer of the bungy jump in Corinth. 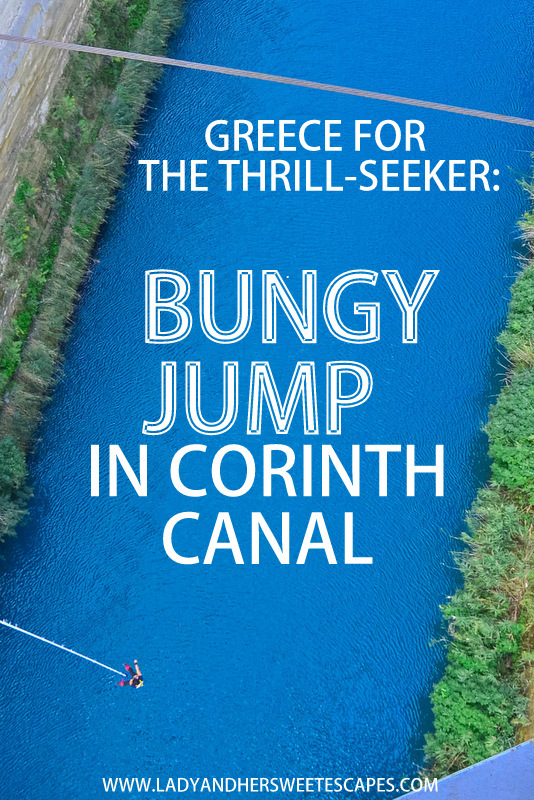 I wanted to know more about the jump, the schedule, and most of all, on how to get to the bungy jumping site by public transportation as Corinth is quite far from Athens. We received a prompt response from the staff and all my inquiries were answered in a short time. 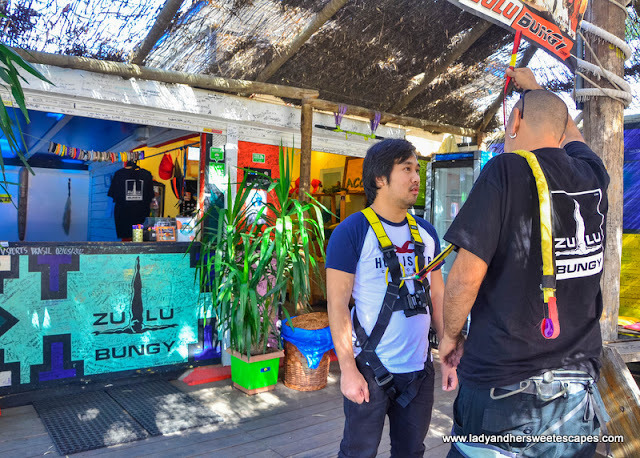 On our second day in Greece, we followed the instructions given by the Zulu Bungy Team. We checked the weather. It was made clear to us that under bad weather condition, the facility will be closed. Upon knowing that it will be sunny in Corinth from morning til afternoon, we went to the KTEL Kifisou bus station in Athens. We purchased round trip Athens-Corinth tickets and hopped in the designated bus. 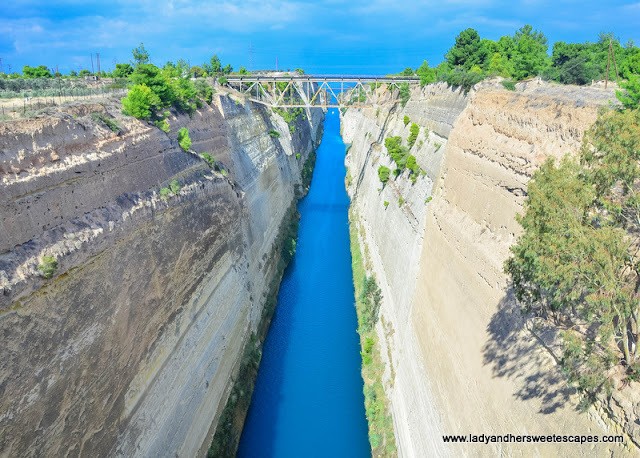 We informed the bus driver that we need to alight in Corinth Canal. There's a free wifi in the bus, so we were able to monitor our journey via Google Maps as well. 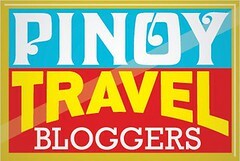 After about an hour, the bus halted beside the highway and the driver informed us that we have reached our destination. We went down. There was no canal in sight! I could sense that Lady was already panicky because the bus left and we're disconnected to the free wifi. We both thought the bus dropped us in a wrong place. Thankfully, there was a lady crossing the road, walking towards us. We asked her for directions, and although we had a hard time conversing at first, she realized that we're looking for bungy jumping area when we said the words "canal" and "jump." There's a fork in the road and she pointed us to the correct path. 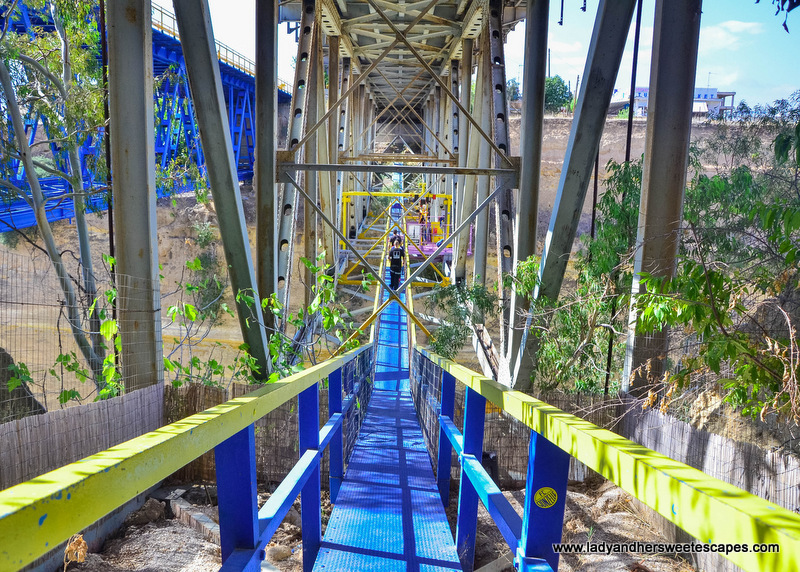 It was a relief seeing a bridge, people with cameras and a signboard. Whew! Zulu Bungy is located right beside the canal or isthmus, about 300M away from where the bus driver dropped us. A staff welcomed us to the facility. 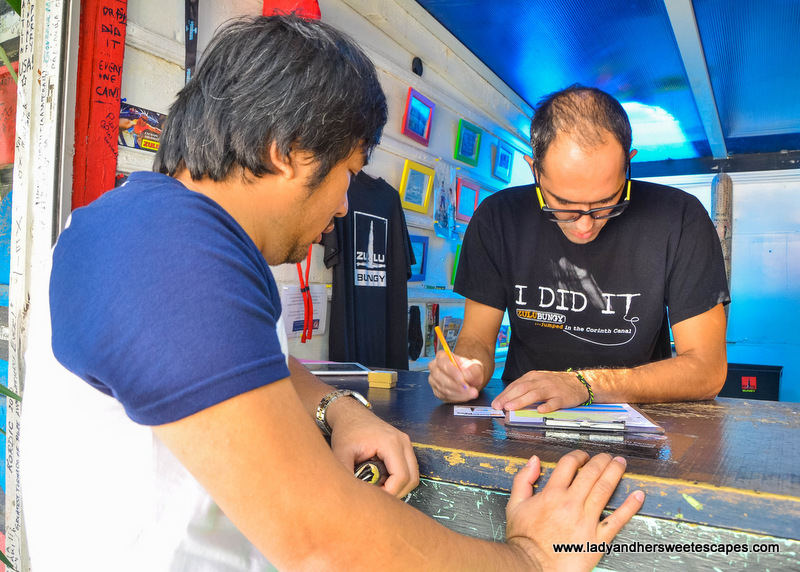 He guided us to the canal to witness a bungy jump session before asking me to sign the waiver. He probably wants to make sure that I clearly know what I am about to experience. Watching other people jump actually builds up the excitement! So, I told him I'm definitely going for it! 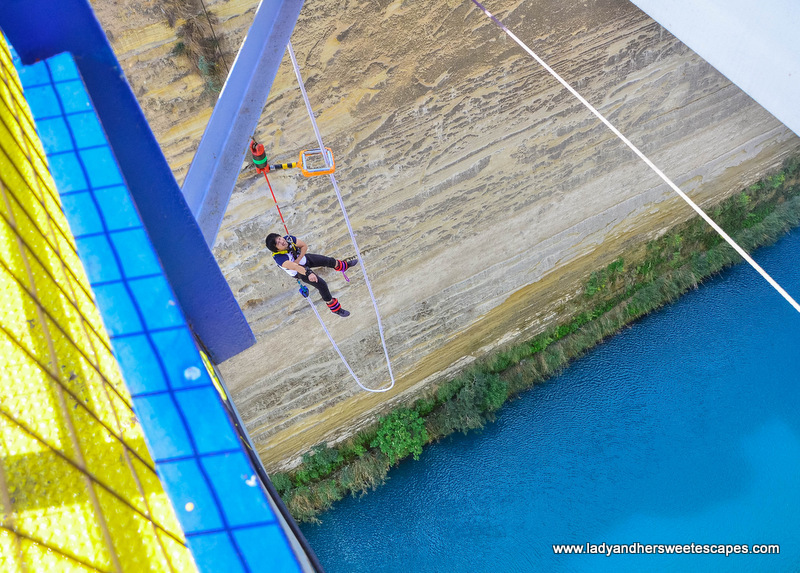 Lady checks the bungy jump site. It looks scary, yet safe to her. Looks awesome to me! We walked back to the booth, I signed the waiver, and paid the fee. Zulu Bungy Jump package costs 80 Euro. This includes raw video footage and t-shirt. Not bad, if you ask me. I remember paying more than 300 Euro for bungy jumping in Macau Tower. 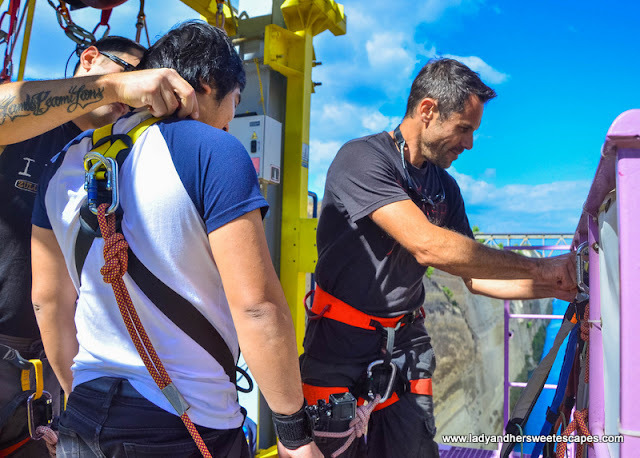 The preparation involves a quick yet detailed orientation, wearing of safety gears, and instructions on essential things to do before, during and after the jump. 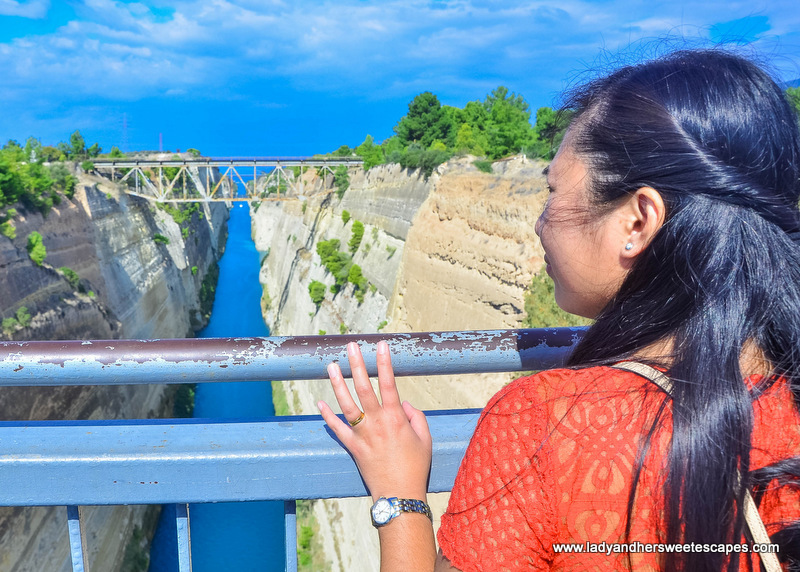 Compared to my previous extreme adventures, I was more relaxed in Corinth. 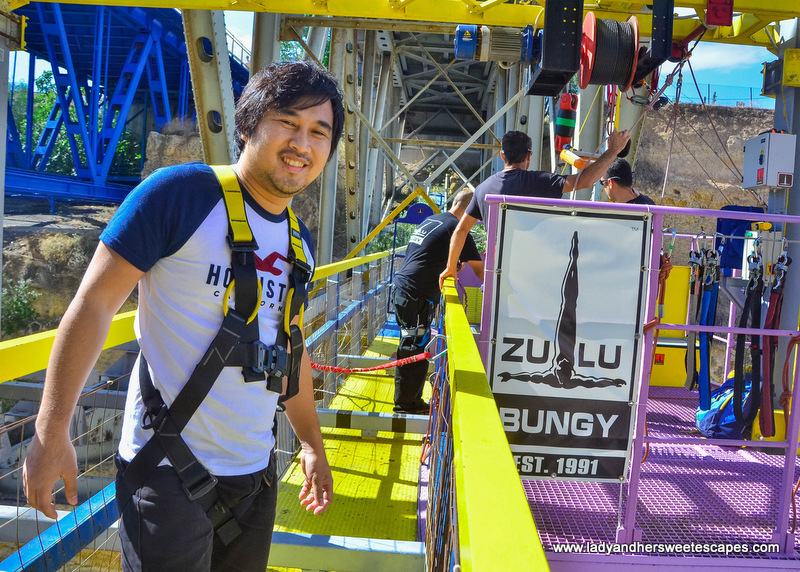 I'm quite used to the pre-jump jitters, plus the fact that the team at Zulu Bungy are professionals. They assured me that I will have a safe and fun jump! And just like that, I found myself under the bridge, at the edge of the platform. It was time! The team told me they will do a five-second countdown and that I will not be pushed. I should jump on my own. So, I stepped forward, spread my arms, and enthusiastically joined the countdown. I jumped without hesitation and it felt really good! 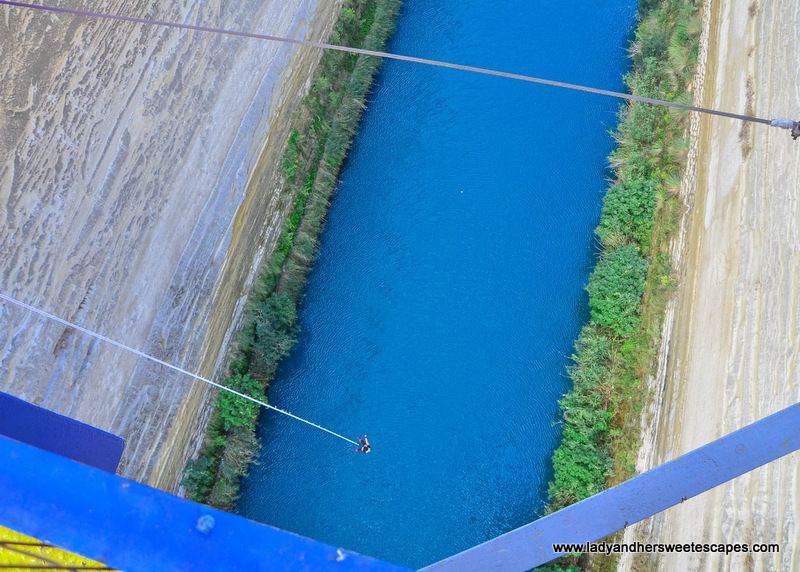 The adrenaline rushed through my veins as I free-fall towards the blue waters of the canal! The actual jump only took a few seconds, and it was finished with an equally thrilling swing. 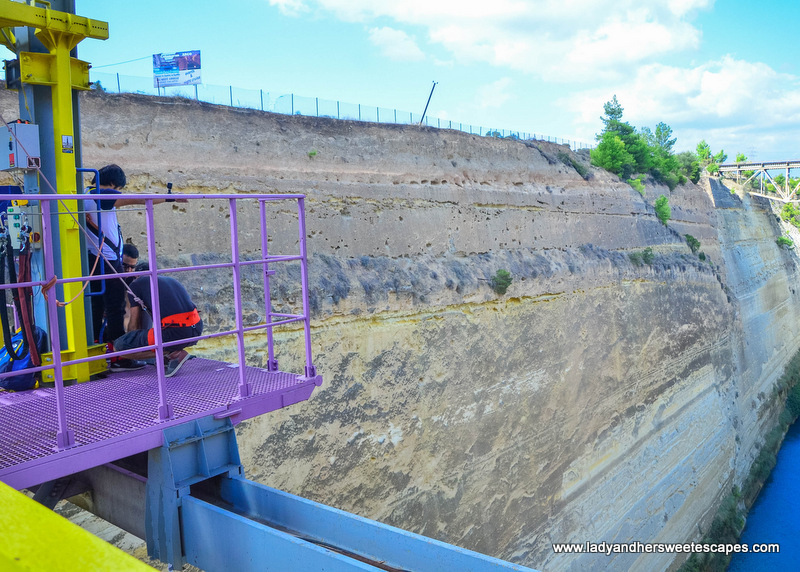 It was my first time to experience this type of jump wherein the rope slightly swings up, down and sideways in the end. In 5, 4, 3, 2, 1! 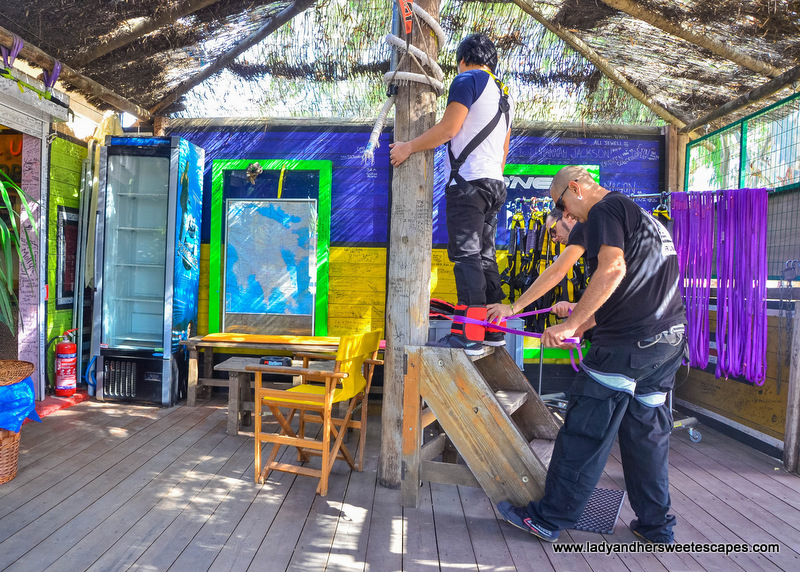 When the rope-swing ceased, the staff told me that it was time to pull the latch in my belly. I remember the instructions given to me during the orientation. The team lowered down another rope and I attached it to my bungy cord. As they pulled me back to the platform, I took the pleasure in seeing the Corinth Canal in a different perspective. Wao Its amazing. All the pics are so good. Bungy Jumping in Corinth Canal this is a awesome place to visit. Thanks for sharing this beautiful place with us. I would like to share with my profile at: Joseph Samra.